A crowd of more than 600 attended the first live Warriors For Healing event, held on the Windsor Lawn of the Hotel del Coronado. On June 28th, 2015, more than six hundred yogis from around the country joined us for the first live Warriors For Healing event at Yoga Journal LIVE! in San Diego. The inspirational 90-minute practice celebrated the service of veterans and raised awareness for the potential of helping warriors to heal from anxiety, depression and post-traumatic stress (PTS) through the healing science of yoga. The event was coordinated through Warriors For Healing, a foundation launched by teacher Bhava Ram that’s supported through the fiscal sponsorship of Give Back Yoga. Welcoming dozens of veterans who came to practice alongside the yoga community, Mayor Casey Tanaka proclaimed it “Warriors for Healing Day” in the City of Coronado, where the Yoga Journal conference was held. Among those in attendance was Give Back Yoga’s Veterans’ Outreach Coordinator Anthony Scaletta, the leader of our Warriors For Healing crowdfunding campaign. With Anthony’s help, Give Back Yoga raised more than $8,250 to support our mission of yoga outreach to veterans. We owe a debt a gratitude to each partner and community member who supported the Warrior For Healing event and crowdfunding campaign. 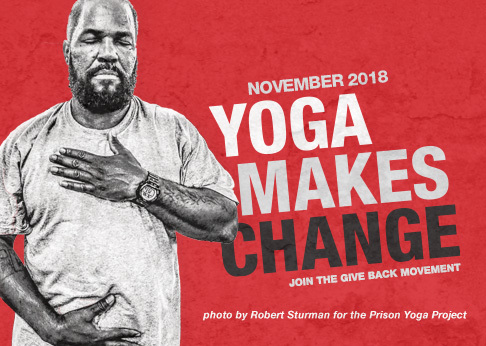 With your help, we connected with many veterans who are benefitting from yoga, while inspiring a growing number of yogis to join us in practicing selfless service. View some of their stories on our Warriors For Healing video playlist. Video spotlight: Warriors for Healing come together in San Diego. Join us as a Warrior For Healing.